Stony Brook Men’s Basketball has had its fair share of come-from-behind victories this season. Matchups against Rutgers, Saint Francis, Hartford, Maine and Binghamton showcased the team’s resilience in the final moments of games. The Seawolves’ game on Sunday afternoon against the New Hampshire Wildcats came down to the final moments once again, but the Seawolves found themselves on the losing side of the comeback. Junior guard Jaron Cornish’s final two shots missed as the Seawolves were unable to score in the final 2:36 of regulation, falling to the Wildcats 53-51 Sunday afternoon at Lundholm Gymnasium. 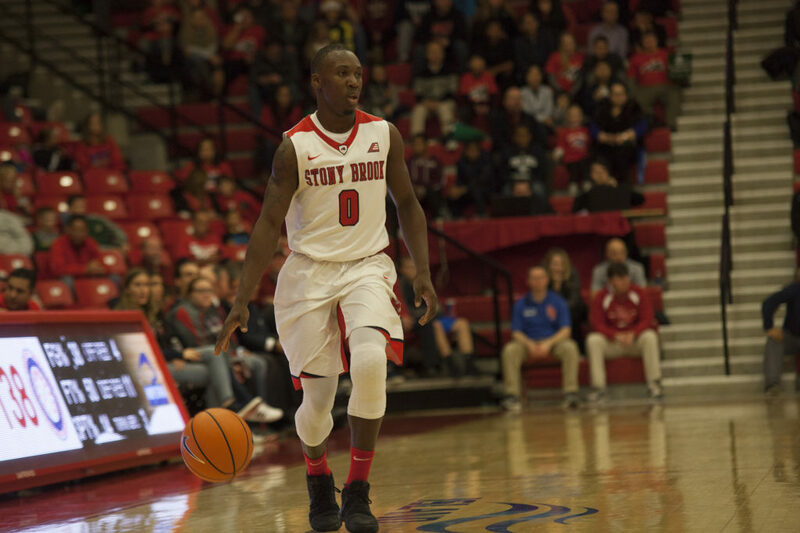 Stony Brook gained possession after senior forward Junior Saintel stole the ball from New Hampshire with 12 seconds left in the game. Trailing 52-51, redshirt-sophomore forward Akwasi Yeboah received the inbounds pass, but quickly turned the ball over trying to score a layup. Boals screamed from the sidelines, calling for a foul to be called. The Wildcats were fouled following the turnover, and senior forward Iba Camara made the second free throw to give his team a two-point cushion with eight seconds left. Stony Brook inbounded the ball and Cornish drove down the court and missed his first layup. His second-chance shot missed and bounced away from the rim as the horn sounded. Senior forward Jakub Petras scored a career-high 13 points and grabbed a season-high eight rebounds. He also played a season-high 25 minutes due to senior forward Tyrell Sturdivant’s struggles. Sturdivant picked up four fouls in a scoreless eight minutes of play. Stony Brook ended the first half on an 11-0 run, but was never able to escape New Hampshire. The Seawolves faced a seven-point deficit with just under 10 minutes left in the game, but Petras gave his team a two-point lead with a layup with four minutes remaining. Cornish was the last Seawolf to score when he hit one of his two free throws to put the team up 51-48 with just under three minutes remaining in the fourth quarter. Cornish scored a game-high 16 points, while grabbing a game-high 13 rebounds as well. Stony Brook now falls to 3-3 in conference play, tied for fifth place in the America East standings with Albany, and 8-12 overall. Stony Brook was picked to place fourth in the conference before the season started. The team will hit the road again to take on UMass Lowell on Wednesday, Jan. 24 at 7 p.m.